The Healing List has been very popular and easy way to gain a benefit from the Divine Energy of Shirdi Sai Baba and the processes that I am doing. Once I receive the name to be added, it will be placed on the healing list and remain there each day for one week, for the daily Healing List Process. If you have had healing process with Divine Energy before and would like to continue that energy flow, this is a great way to have that. The Healing List is also a good way to get a continued experience of the work that I do with Divine Energy, and how it is Shirdi Sai Baba doing everything. Baba lived all his life in Shirdi, India, as a beggar and took his Divine Mahasamadi with his physical form in 1918, but his Divine Energy and Intention and Power is always available and at work in the world. 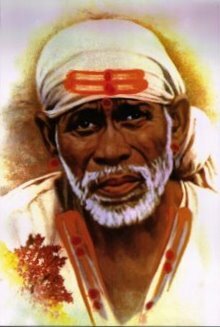 By the Divine Blessings of Shirdi Sai Baba, I am able to heal. What is the Healing List for? This is a list that Shirdi Sai Baba directed me to create, it is ONLY for the healing of illness and disease that has manifested. Note: This list is not to find marriage partners or to fix or improve finances, or if you are unhappy at your workplace. Adding your info here will put you or a friend or relative to the Healing List for one week. Also include some details...what is going on...whats the problem. If a name has been on the list for one week and you wish to add it for an additional week, please a short detail how you have noticed the Healing List has helped. By adding your name to the healing list for additional weeks you are granting us permission to use your full name in a testimonial. If you do not wish to have your full name used in a testimonial, please send me an email each time you use the healing list stating that your name should not be used. Please use full and correct name. Initals will not be added to the list. Who is healing for? Correct first & last name. Where is the person being added living now? The submitter of this form must be over 18 years old or have parental permission. Add the summary of the disease or illness here. Add the date to be added for one week..here. Please add my name & email address to your mailing list. You must leave the box checked if you want to be added to our Free Healing List. By adding a name to this list, you agree to receive periotic emails from Divine Energy Healing. * Has this name been on the healing list before? I wish to share the above personal data and health info with Divine Energy Healing.